Today we have an exciting and enticing post which covers handy and innovative infographics. Infographics is basically derived from two words: ‘information’ and ‘graphics’, and it stands for the graphical representation of data and information. Data visualization techniques have been often used in modern maps to incorporate variety of information, for instance for network designs, destination points, and local landmarks. 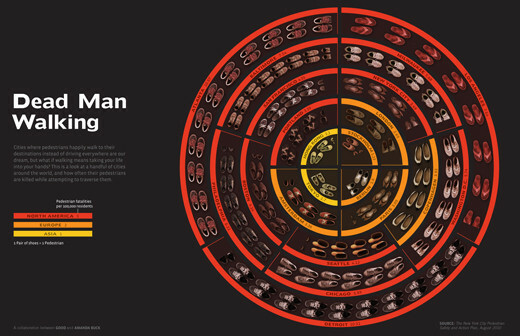 Let’s take a look at some creative examples of beautiful infographics. Where Will the Next Volcano Erupt? Which Countries Invest the Most in Alternative Energy? People on Web Trend Map! This is mind-blowing & EXTREMEEE! Thank you for sharing! I love the Geological Time Spiral, nice visual thinking samples. Making boring stuff an art. Thanks for sharing. Really amazing works here! WOW!! some of these are confusing, but there are some interesting ones too. thanks for great article. i’ll sure collecting them. Awesome and really inspiring stuff. Thanks for the effort. Really awesome collection. Thx for collecting and sharing! That was so cool.Thank you for sharing as I would have probably not come across these on my own. Complexity of data rendered in a clear way. Me gustan mucho los infográficos! Trataré de publicar los mios… aunque muuuuuy modestos a la par de estos!. Thx for this great collection! Visual Treat …..Keep Up the Spirit ! How did you make your blog look this awesome. Email me if you can and share your wisdom. I’d be appreciative! Wow inspiring examples for sure. We just created our first infographic today. What do you guys think? I don’t have the courage to comment here as I think it’s never possible for average designers to do it.